100% Silk Handwoven Turkish Rug. 3' X 5' With Fringe. Pictures do not do it Justice. 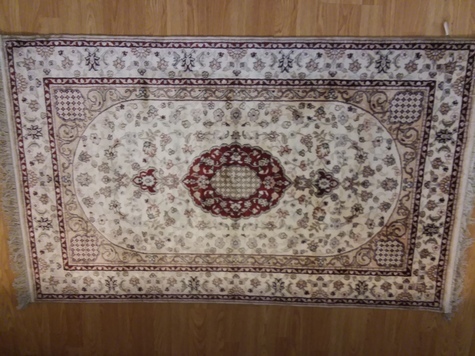 Rug is an Oriental Design, Deep Red on Cream Background With Hints of Light Pink, Rose and Pale Turquoise Silk Thread. Paid $7,000.00 New, Never Used, Kept Carefully Rolled With Brown Paper. Only Opened to Take Pictures.